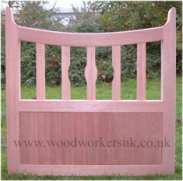 Although we have a range of wooden gate styles and designs that are available made to measure, you may well have something more specific in mind – that’s where our bespoke wooden gates service comes in! 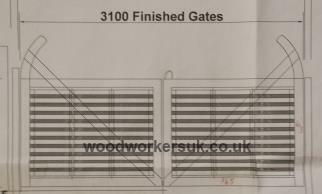 If you have something different in mind and can provide us with a sketch or drawing showing all the relevant dimensions of your bespoke wooden gates requirements then we would be happy to take a look at and provide you with a personalised costing as well as any feedback about the gates – in some cases we may recommend altering certain aspects of the gate design for strength etc. 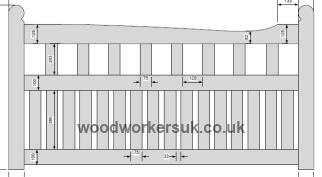 Please note however that all of our gates are based on a EX 3″ (EX 75mm) thick wedged mortised and tenon jointed frame for strength and rigidity and we would incorporate this frame into your wooden gates. 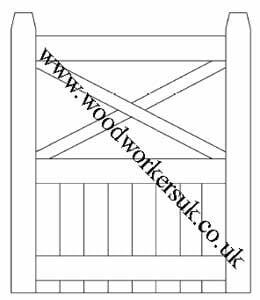 To quote on your bespoke gate design we need a picture, drawing or sketch of your requirements. Your sketch or drawing can be as simple as the one above (with all relevant sizes supplied). You can email the picture to us at [email protected], Fax it to us at 01745 531001 or call into our workshops. The more information that you include the better, this enables us to give you a more accurate costing. 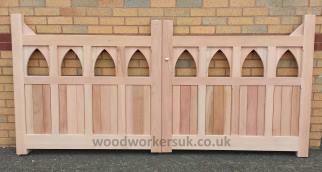 Please note: In almost all cases we are unable to provide costings for bespoke wooden gate designs over the telephone without first having received a picture or sketch of your design. 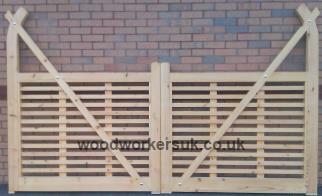 Looking to customise one of our standard designs of gates, rather than design one from scratch? 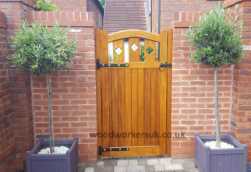 Then please see our ‘Customise your wooden gates‘ page for more information. 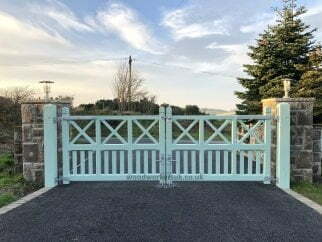 To suit automation – We manufacture our gates differently depending on the method of automation used for more information please visit our Electric gates page. 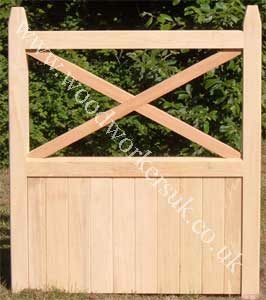 Open boarded or close boarded – Rather than the traditional boarded gate (close boarded) gate that you cannot see through, we also make open boarded gates that can be seen through – Open boarded & close boarded gates. 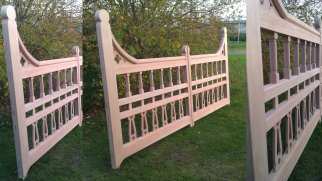 With matching fence panels – Want a fence panel or two to match your gates? 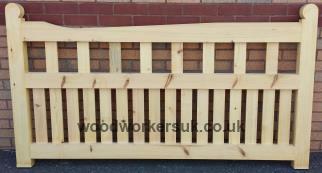 Now we’re not talking about the types of panels you can get at your local builders merchants…Please see our fence panels section for more info.